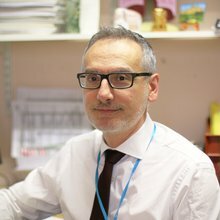 Dr Farrugia underwent specialist training in Medical Oncology at Guy's & St Thomas's Hospitals and St Bartholomew's Hospital in London. His research, leading to a PhD in cancer pharmacology, was done at the Institute of Cancer Research and Royal Marsden Hospital. New patients and follow-ups: Monday and Tuesday pm.